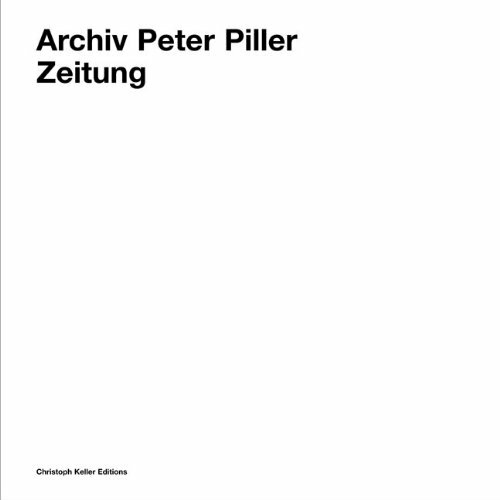 From 1994 to 2005, German artist Peter Piller worked a day job at a leading Hamburg ad agency where he was responsible for analyzing and archiving more than 150 regional newspapers. The grinding repetition of this task inspired him to create the Peter Piller Archive, which consists of countless images culled from these newspapers and gathered into 80-some highly subjective categories such as 'Touching Cars,' 'Sad, Hopeless, Despair, Tristesse,' 'Girls Firing Arms,' 'Stand-in, Protests' or 'Man and Fire.' Zeitung, part of a series of artists' projects edited by Christoph Keller, is the most complete compilation to date of Piller's fascinating collection, which, at turns mundane and grotesque, constitutes an improbable typology of press photography from the last decade.